The inspiration for an album of American music germinated in the fall of 2009. It simply seemed to us that, in this period of strong national introspection and intense economic upheaval, a reminder of our shared national history and values would be a welcome breath of air. Sure enough, when we performed much of this material in concert in the spring of 2010, there was a strong demand from the community to get this music onto a disc. The current album is the result. We hope you enjoy listening to this music as much as we have enjoyed playing it. 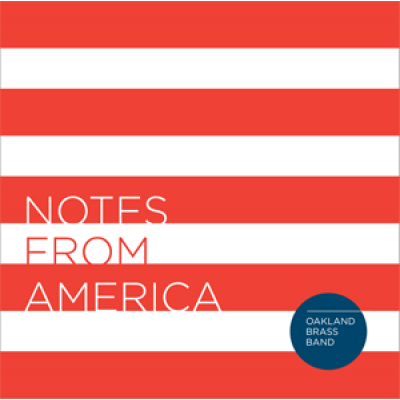 Neil Barlow, Music Director and Conductor of the Oakland Brass Band, was born in New Jersey and grew up in Michigan. Following his formal training as an engineer, Neil spent a part of his career managing a series of high-tech international companies. The largest portion of Neil's time is devoted to music. Besides his activities with the Oakland Brass Band, he conducts and performs in many musical organizations in Ontario, Canada. AcknowledgementsAll of the folks at Saint John Lutheran Church in Farmington Hills, Michigan were quite instrumental in supporting the production of this album. Besides providing a place to record, the were extremely helpful in making those sessions both comfortable as well as productive. We thank our friends at St. John most sincerely!